My daughter Tiffany and I made weekly visits to daddy’s house “in the city”. As he aged, I began delivering meals to him with all of his favorite things he no longer had the energy to cook for himself. 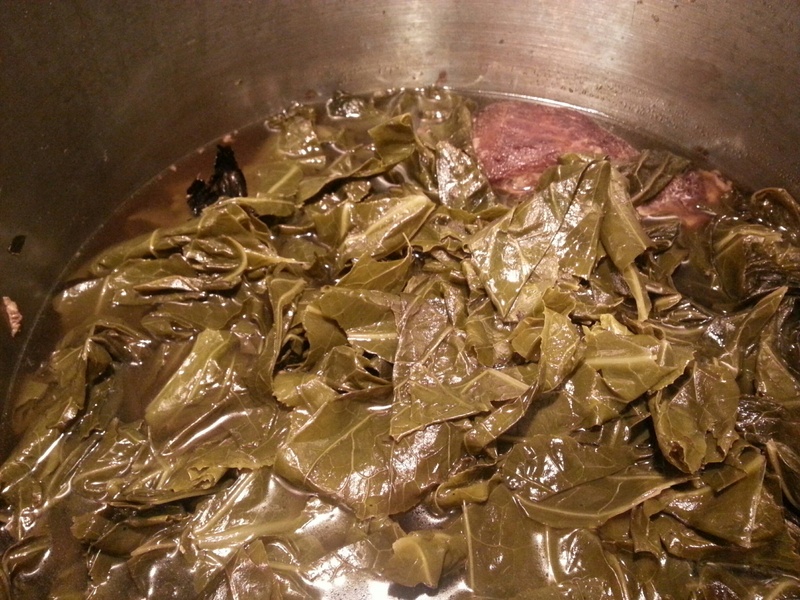 One of those things was nice, fresh pots of collard greens. 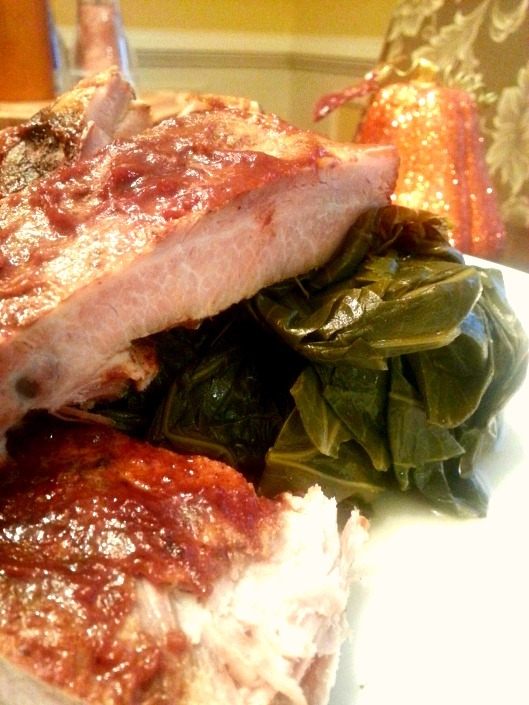 One Sunday we spent the day with daddy and I had taken him a rack of ribs and collards to enjoy throughout the week. Lord knows it was a gracious plenty! Later that night I received a phone call from his neighbor letting me know daddy had been rushed to the emergency room with severe pain in his chest. I knew it was a heart attack. “You just stay away from me! Go on now! This is all your fault!” yelled daddy. “How can a heart attack be MY fault?” I screamed back. “This is no heart attack. It was those damn collard greens! You tried to kill me and it damn near worked!” he screeched. 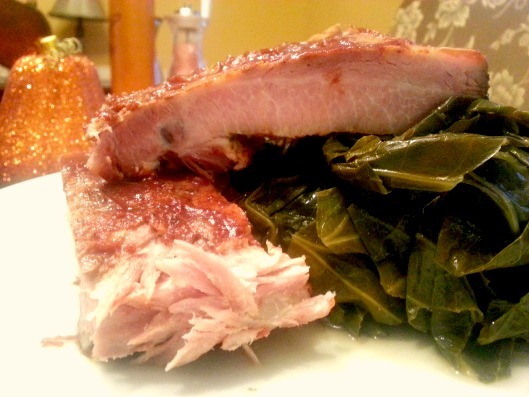 Collard greens. Lethal Weapon V. Who knew? 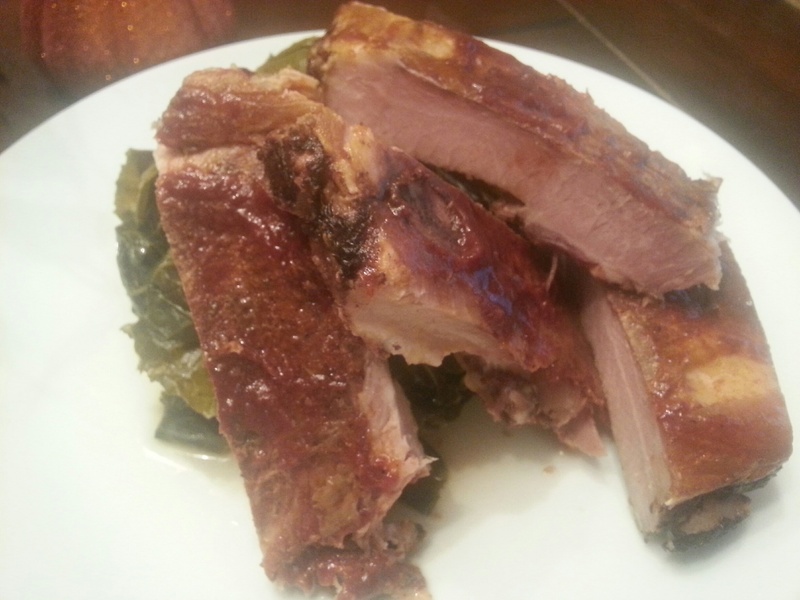 Remove thin membrane from underside of ribs. 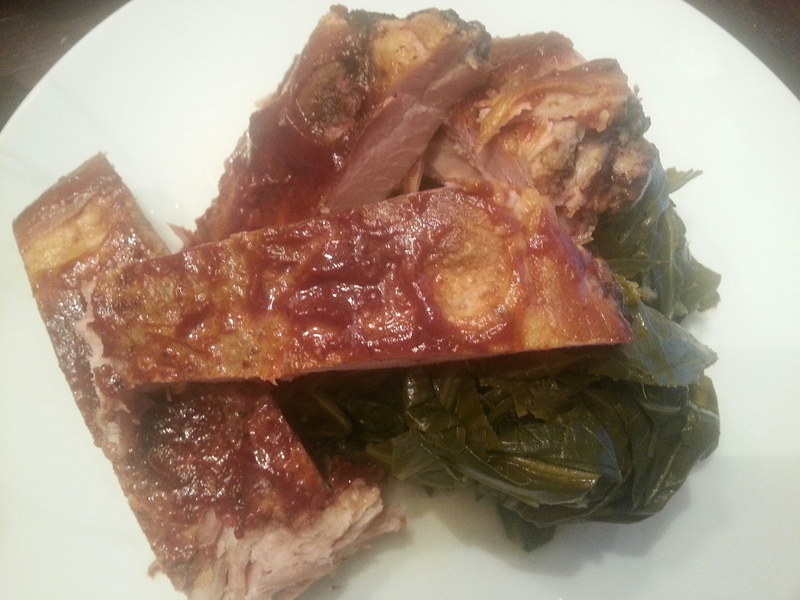 Salt & Pepper ribs generously. Wrap tightly in plastic wrap. 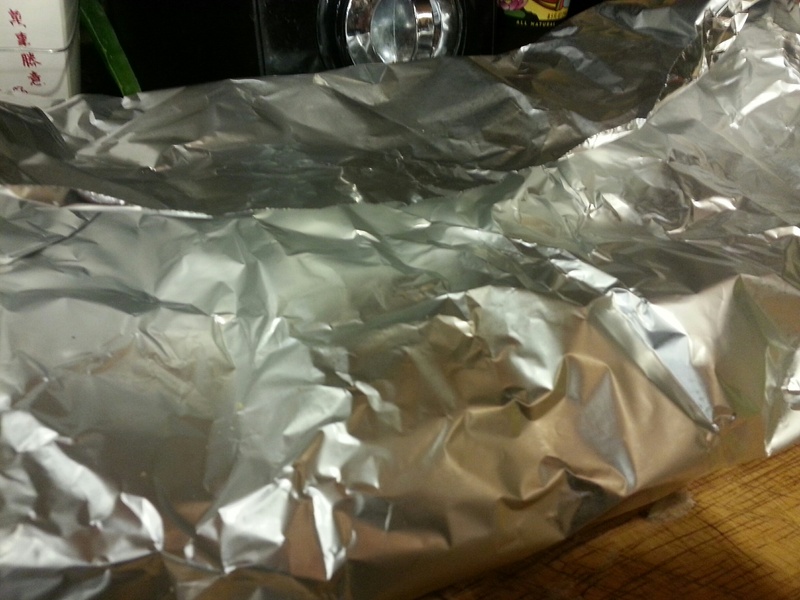 Then wrap tightly in aluminum foil. Place in the oven at 275 degrees for 8 hours. Remove from oven and allow to rest 15 minutes. Place remainder of ingredients in a pot on the stove and bring to a soft boil over medium heat. Remove from heat. 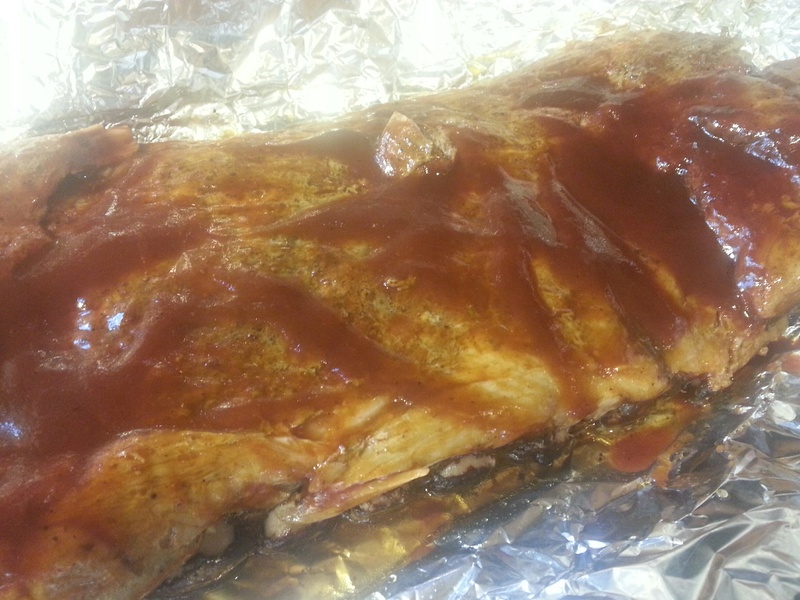 Unwrap ribs and place on a roasting pan. Slather with sauce. 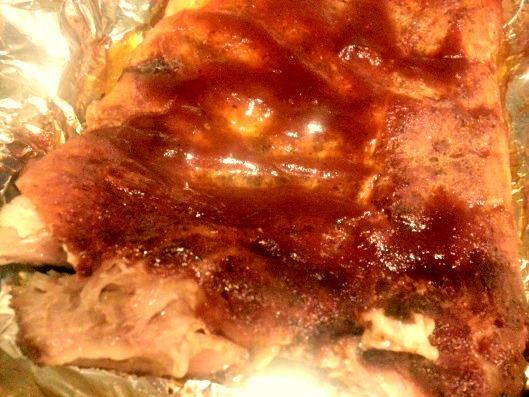 Broil for 5 minutes and slather with additional sauce. 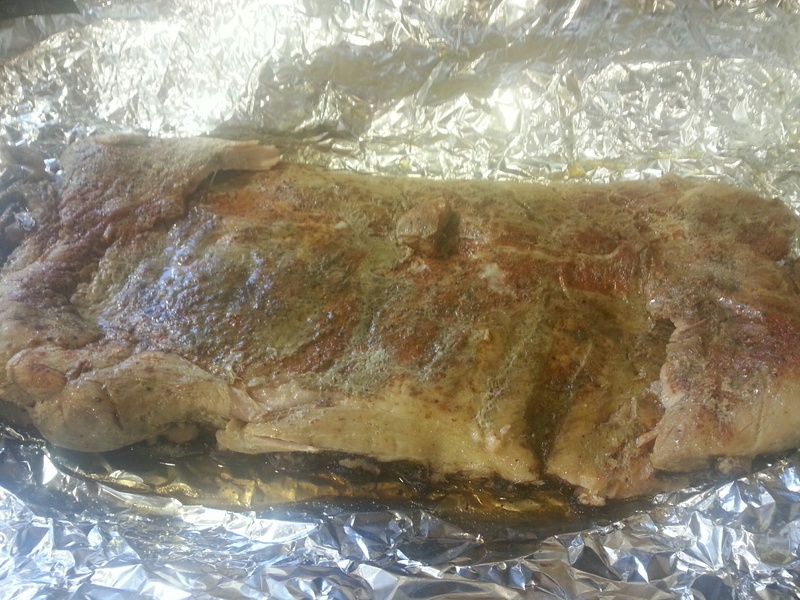 Return to broil until ribs are cherry red. 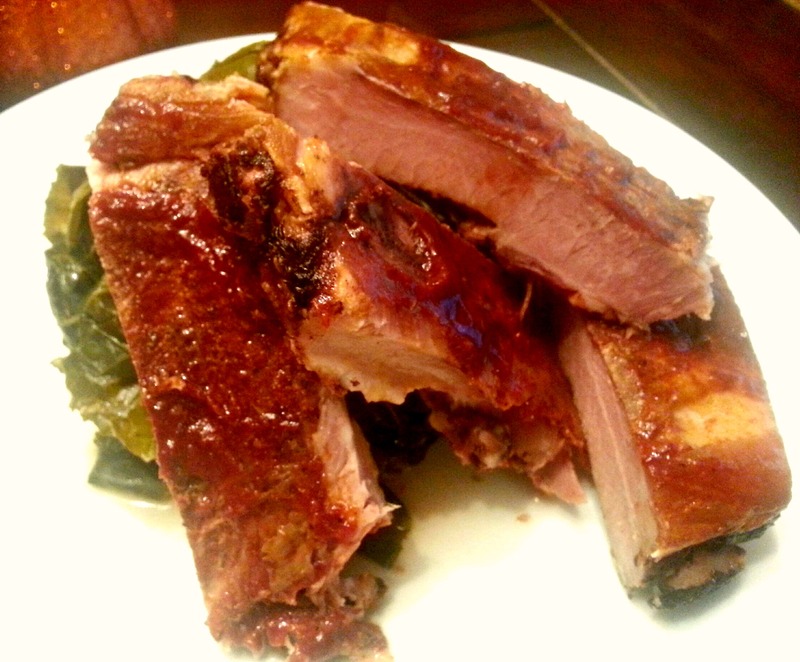 You can also finish these off on a grill for about 10 minutes for best flavor. Remove stems from greens. Place greens in a pot with chicken stock, vinegar, sugar and ham-hock. Do not add salt until the last five minutes of cooking. Adding salt at the beginning of cooking vegetables will make them tough. Cook on the stovetop for about two hours on medium low heat or until you reach desired consistency and texture. Add more salt for more saltier flavor, more sugar for a sweeter flavor. Life is too short to eat ugly food and drink bad wine y’all.